Hey there, I hope you’re having a great weekend! Today I’m so excited (in a guilty pleasure kind of way) to share with you the pun loving nerd in me. I.love.puns! I think I have a pun translator built inside my brain because I’m always thinking of puns in various life scenarios or conversations. See, I told you it was nerdy. 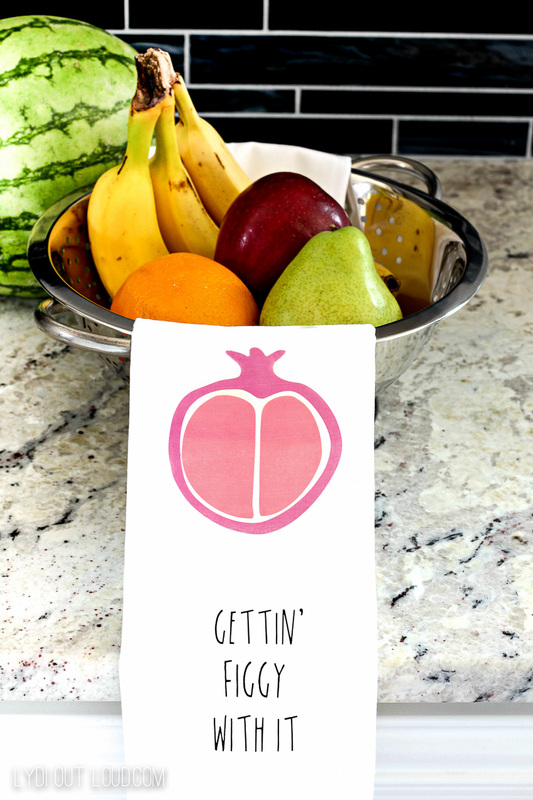 😉 I always love a good food pun, especially when I can integrate it into my kitchen decor somehow. 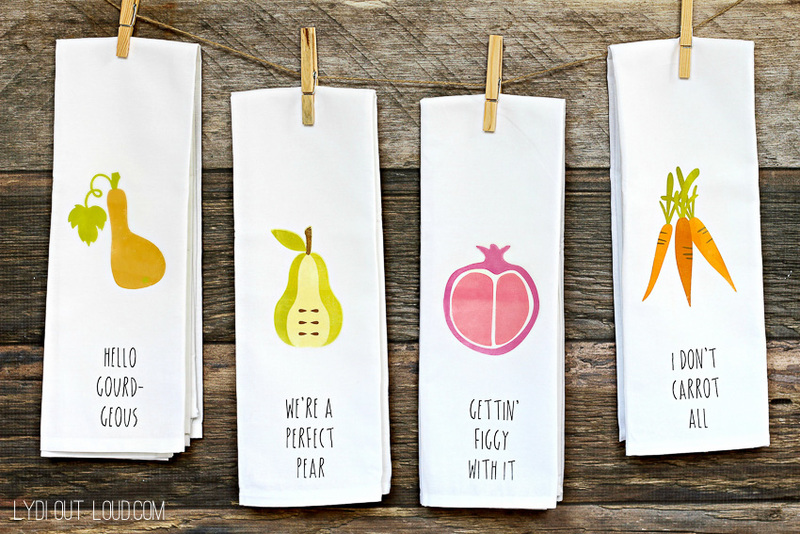 Win win with these DIY Kitchen Towels! 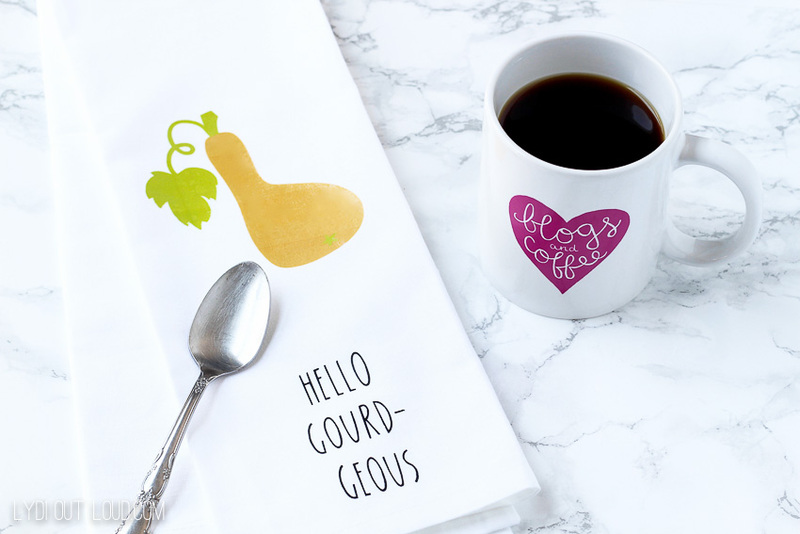 Using printable iron-on gives the images dimension and texture, making it look as if they were hand painted onto the towels. I thought these have a little bit of a fall feel too… win times 3! 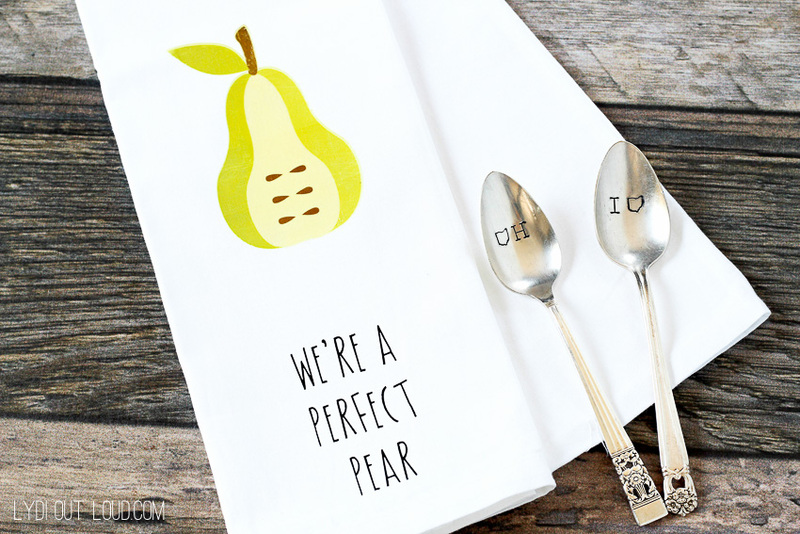 Open the Kitchen Towels cut file in Cricut Design Space. The font in the file is a Cricut font called Jubilee. If you don’t have this font or you’d prefer another, you can select any font you’d like from the Cricut fonts or any font from your computer. The project will be on 3 mats; 2 for the print then cut images (2 images per mat) and 1 for the text that will be cut. Make sure to mirror the images and text since we’re using iron on. Also make sure that the “Bleed (for print then cut)” box is checked. Don’t worry about the images looking like they are blurred, the cut will take care of that. 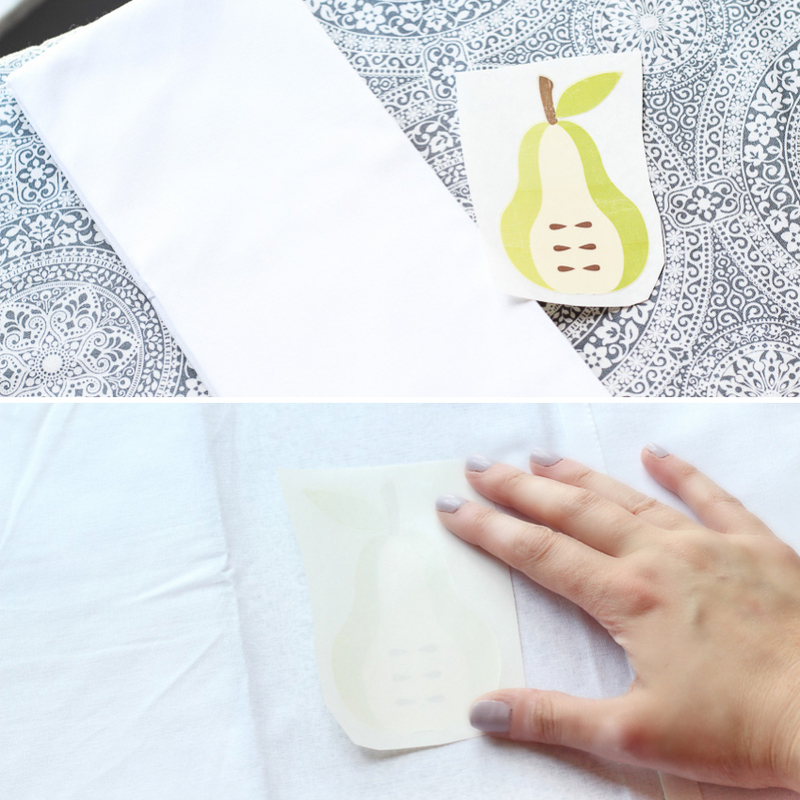 Print the images onto the Iron-on Printable material. The machine will know where to cut by sensing the black corners that print out on the page around the images. Cool, right? Allow to dry for 5 – 10 minutes before cutting. 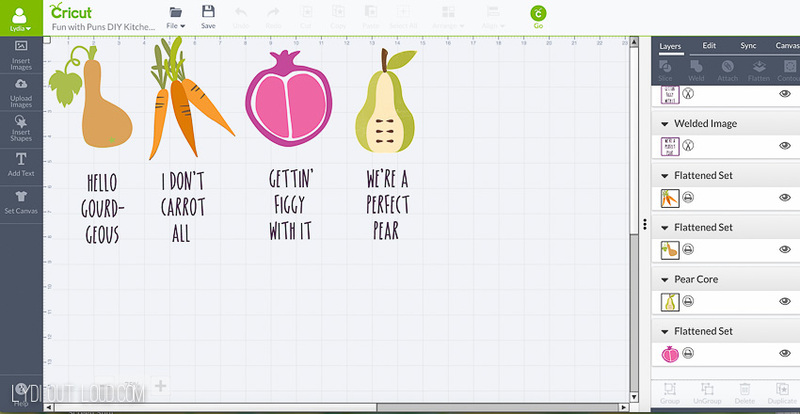 Set the dial on the Cricut to “Custom” and select “Iron-on, Printable” from the drop-down menu; cut images. Return to the design mats and mirror the words. Turn dial to “Iron-on”; cut words. Using the weeder tool, remove excess material around cuts. Set iron to high. Pre-warm the towel with iron and position image on towel. Place press cloth over iron-on and press firmly with iron for 25 – 30 seconds. Continue to lift and press over entire design area. Peel backing off slowly; if any corners are lifting then simply press again. Repeat with words. Repeat for remaining 3 towels. I’m having the hardest time deciding on the towel rotation… is it wrong if I just have them all out? 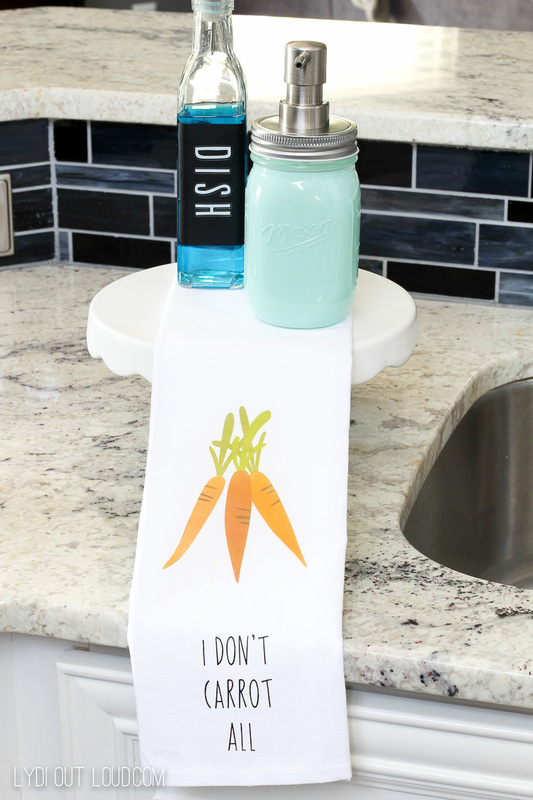 Even if you aren’t a pun lover like me, DIY Kitchen Towels are so easy to make and would make great gifts with the holidays around the corner. Thanks for indulging me by reading about my obsession on this Punday, aka Sunday. Sorry I had to! 😉 Enjoy the rest of the weekend! Very cute! Thanks for sharing your tutorial at Craft Frenzy Friday on Mom Home Guide! 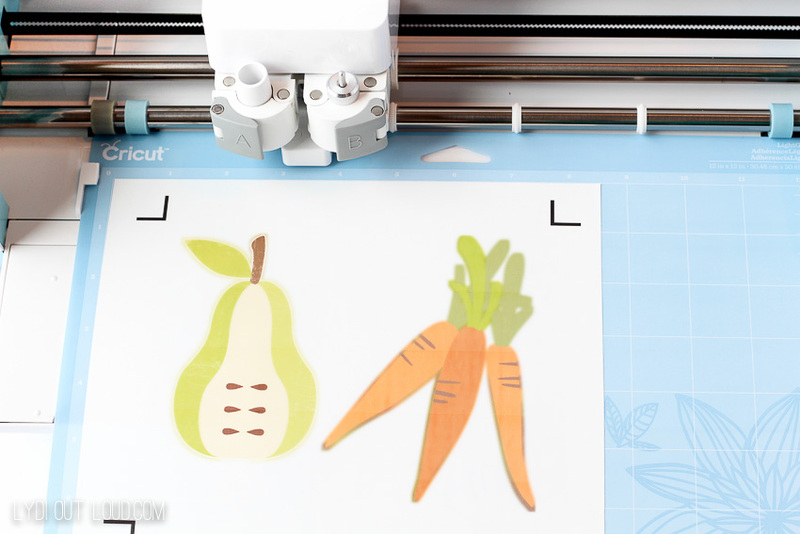 Now I want a Cricut! These came out so good! Thanks for sharing it with us at Funtastic Friday. I love kitchen puns and am about to completely remodel my own space! I’ll be using these for sure! Puns forever! 🙂 I’d love to see them when your’re done Trudy! Good luck with the remodel, how exciting! 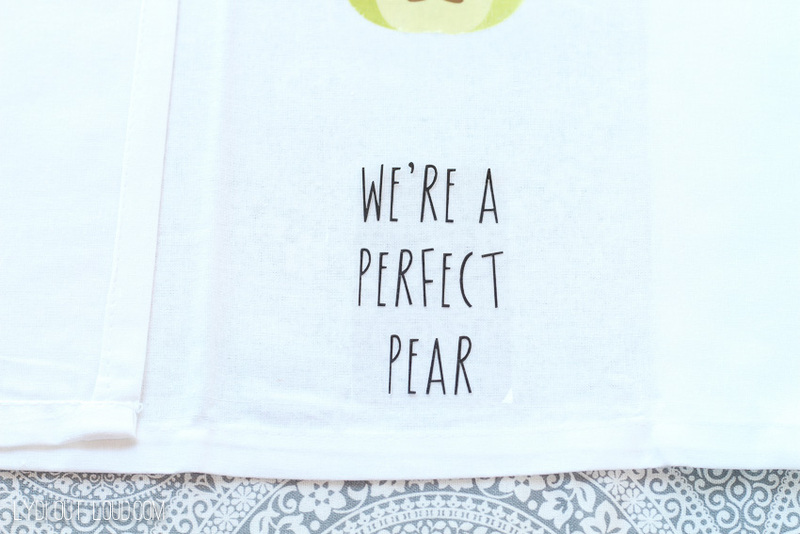 Love these punny towels! Pinned to share! Thanks so much Stephanie, I appreciate it! 🙂 Have a great weekend! Thanks so much Jenna! Thanks for taking the time to say hi! So fun! It’s always nice to have laughter in the kitchen- it’s the sign of a happy home. 🙂 I love these punny towels! Pinning! These are too cute! I would love for you to link up at our new link party #iDIYedthat. Head over to my blog http://www.repurposeandupcycle.com to link up! Hope to see you there. 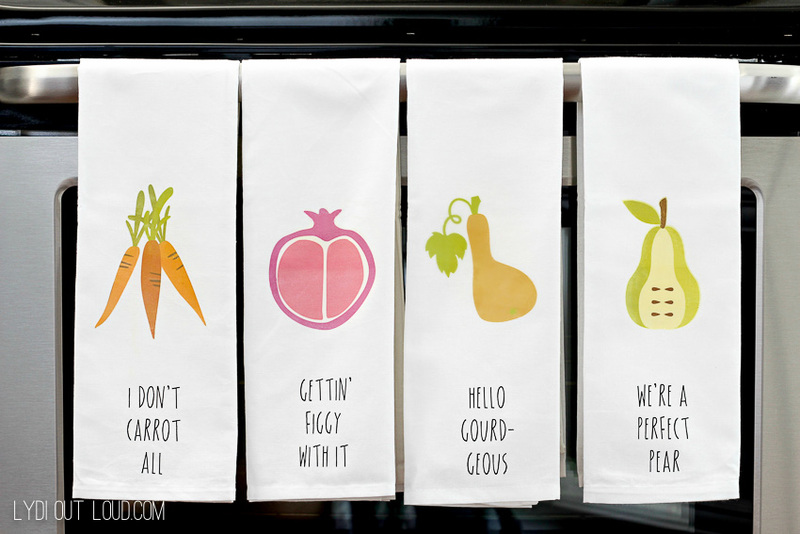 Super fun towels that would make great hostess gift idea! (Also love the Ohio spoons.) Visiting from Creative Corner party. Being iron on transfer- how do fair in the washing machine and dryer? Hi Dana! They do great. I’ve washed them several times and they haven’t lost any color. Happy holidays! I literally LOL’d at ‘Getting Figgy With It’. Too funny..and cute! I must get a cricut! ‘Orange-ya’ glad you did this post! It’s so fun to make decor with your own creations and verbiage. I sure ‘ham’ glad I read this..great ideas great fun!